People in Iran now regret that they participated in 1979 foreign powers sponsored regime-change. These older Iranians in the video below are saying that " What a mistake we made, to participate in 1979 so-called "revolution". Please see in the link below a video about this, on 12/20/2017. Last edited by Surenareal on Wed Dec 27, 2017 6:11 pm, edited 2 times in total. Below please find the links to all 60-parts of the audio-files, on You-tube, of The Confessions of Jaffar Shafiezaadeh, the Chief of Bodyguards of Khomeini the accursed. The contents of all 60 parts audios links below are 100% truth. Mullahs and their mercenaries have tried to discredit these facts, by publishing a fake book with the same title, and fake author Brujerdi. The mullahs and their foreign powers supporters have failed to cover-up or deny these facts. Because by now the overwhelming majority of Iranians, inside and outside Iran, have proven by; documents, video of evidence, and numerous witnesses, that these confessions of Jafar Shafiezadeh are 100% facts. The Iranians know that these confessions are facts that have been proven by numerous witnesses, and without any doubt, are facts about the events that actually took place at the time, from initial preparations for the coup in 1976 to implementation of this regime-change in Iran directed by the major powers. The Hidden Hands Behind the Foreign Powers’ Directed 1979 Regime-Change, (Coup d'etat of 22 Behman 57) In Iran. Last edited by Surenareal on Thu Feb 01, 2018 1:45 pm, edited 1 time in total. Iran without Shah has no accountability. The youths of Iran rise-up, rise-up. Part of history during the reign of Persian Emperor Khosrow (Kasraa) Anousheh-ravaan, and his christian Queen and their son Prince Noosh Zaad. The Beginning of the End of the IRI Islamist Regime! Momentum for the Masses of Iran to Uprise is Now! Iran Politics Club Supports the Iranian Opposition and the Student Movement Inside and Outside Iran. 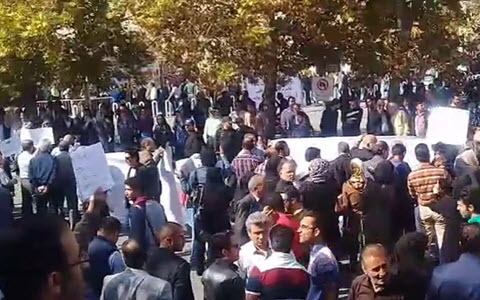 Anti IRI Protests breaks out in Khorasan the same as it has been breaking out around other cities of Iran during the past few months. Protests are due to inflation, unemployment, financial fraud, high prices and high cost of living. 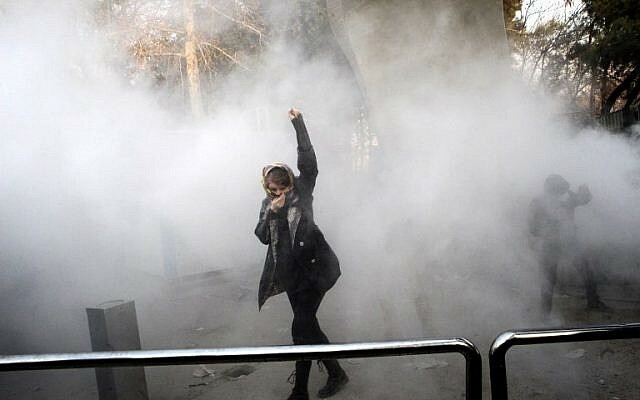 Iranian Opposition Groups, Iranian Democratic Movement, Student Movement and Freedom Loving Masses of Iran inside and outside Iran are responsible for the latest protests. Time is Now, Momentum is Now! Protests are now widespread nationwide. The consistency and union of Opposition is the key to victory. Forgive my independence of action but you do understand the need. President Trump backs the Iranian Opposition and drops his full support behind the Iranian People. Unlike Hussein Obama who betrayed the Iranian Opposition on 2009 (Iranian Riots) and 2015 (Handing $ 150 Billion to IRI), Trump will support the Masses of Iran. 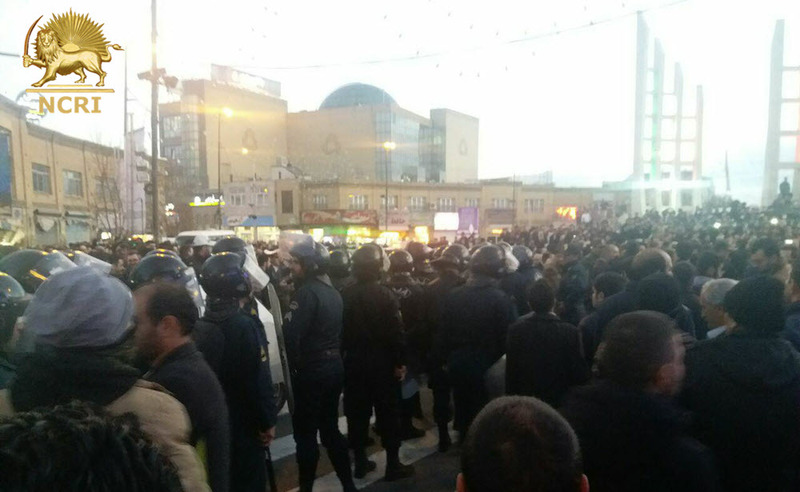 We are following reports of multiple peaceful protests by Iranian citizens in cities across the country. 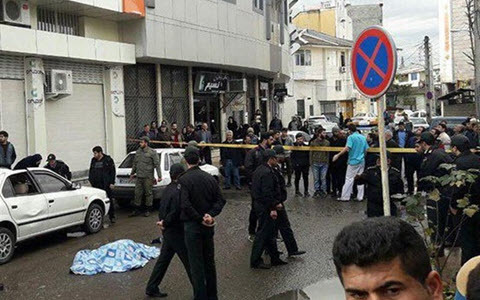 Iran’s leaders have turned a wealthy country with a rich history and culture into an economically depleted rogue state whose chief exports are violence, bloodshed, and chaos. As President Trump has said, the longest-suffering victims of Iran's leaders are Iran’s own people. 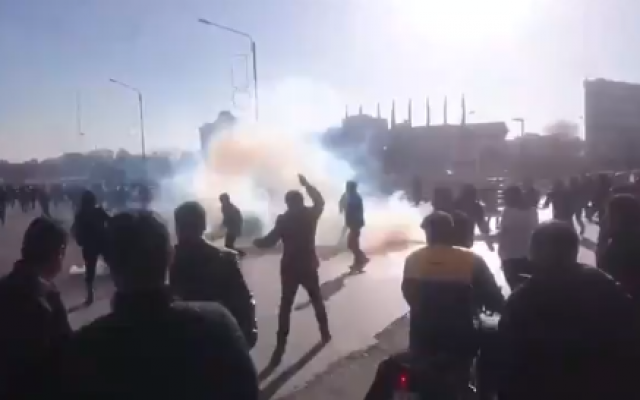 The statement is the first from President Trump's administration on the widespread protests taking place across Iranian cities, and confirms its hawkish stance against the regime in Tehran. 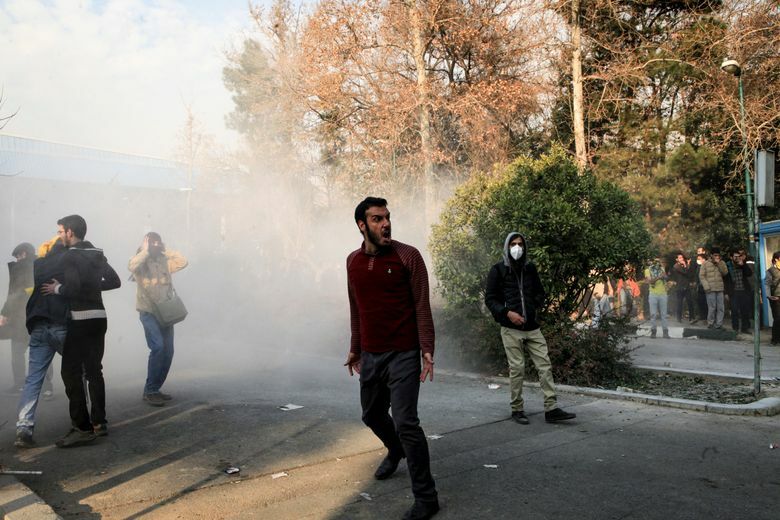 In an early sign of its support for the protesters in Iran, the Trump administration issued a statement blasting the Iranian regime “whose chief exports are violence, bloodshed, and chaos” and extending a hand to those in the streets. 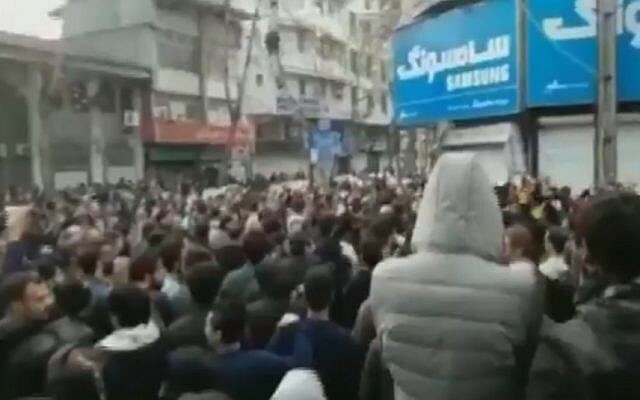 Three days into the widespread protests across Iranian cities driven mostly by economic woes, US President Donald Trump's administration broke with the more cautious approach of his predecessor Barack Obama who kept silent during the early days of the upheaval in Tehran in 2009. 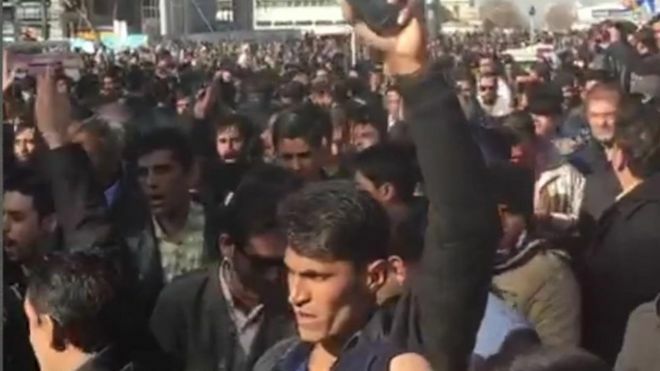 Late on Friday in Washington, the State Department issued a 139-word statement confirming that it is “following reports of multiple peaceful protests by Iranian citizens in cities across the country” and extending a hand to the protesters. The statement issued by State Department spokeswoman Heather Nauert accused Iran’s leaders of turning a “wealthy country with a rich history and culture into an economically depleted rogue state whose chief exports are violence, bloodshed, and chaos”. “As President [Donald] Trump has said, the longest-suffering victims of Iran's leaders are Iran’s own people,” it added. US Republican Speaker of the House Paul Ryan also tweeted on Friday in support of the protesters. "This is the result of a regime more focused on propping up terrorist organisations than addressing the plight of its citizens," he said. 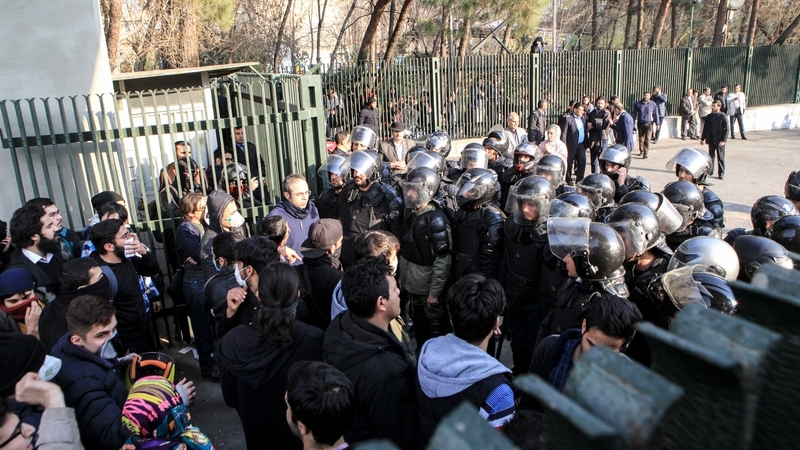 The statement from the State Department condemned the arrest of peaceful protesters and looked beyond the US position by urging “all nations to publicly support the Iranian people and their demands for basic rights and an end to corruption”. 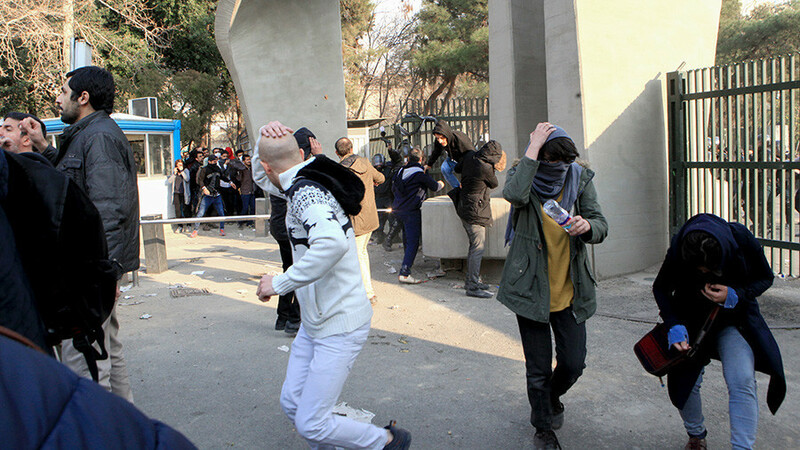 The statement is the first from the Trump administration on the protests, and confirms its hawkish stance against the regime in Iran. Mr Trump called the regime “fanatical”, “radical” and a “leading sponsor of terror” in October, while announcing the decertification of the Iran nuclear deal. “We stand in total solidarity with the Iranian regime’s longest-suffering victims: its own people”, Mr Trump said then. 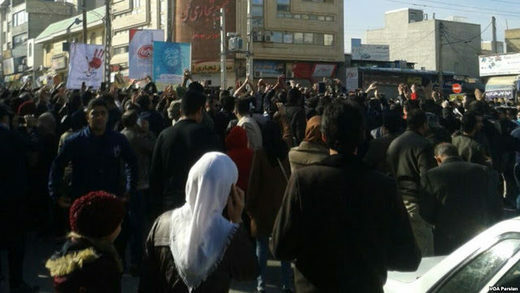 3rd day of protests brought violent clashes between the Iranian people and the IRI Security Forces. 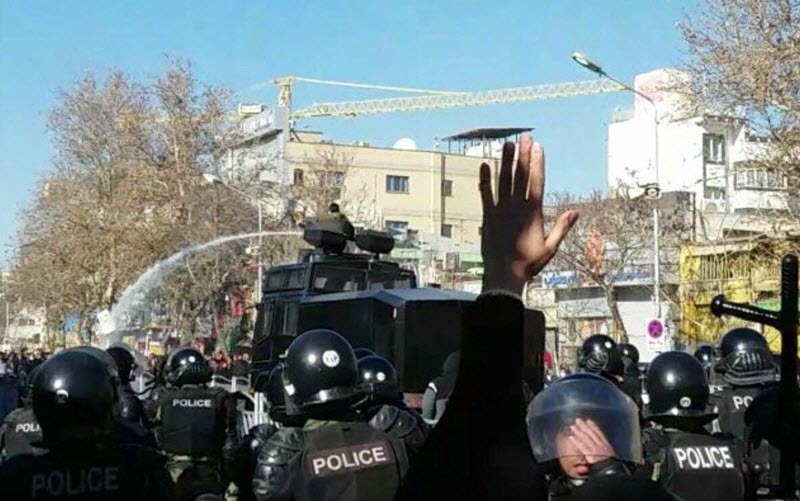 Iranian Opposition and Iranian People are facing heavy suppression from the Anti-Riot Police, Basij Paramilitia and IRGC (Islamic Revolutionary Guard Corps). 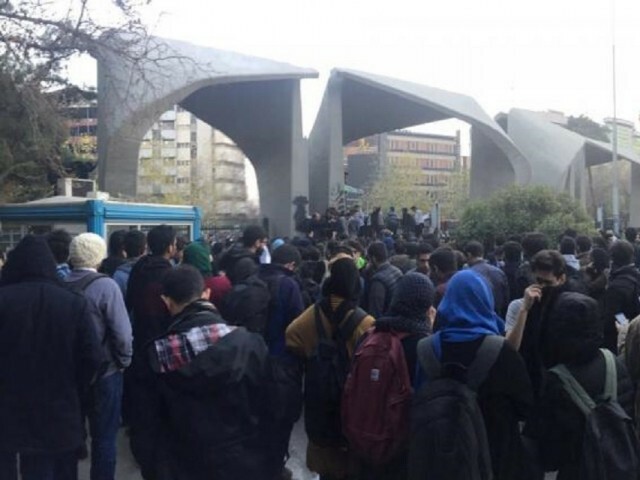 Protests have now spread to 30 cities around Iran including mass protests in Tehran, Mashhad, Esfahan and other major cities. 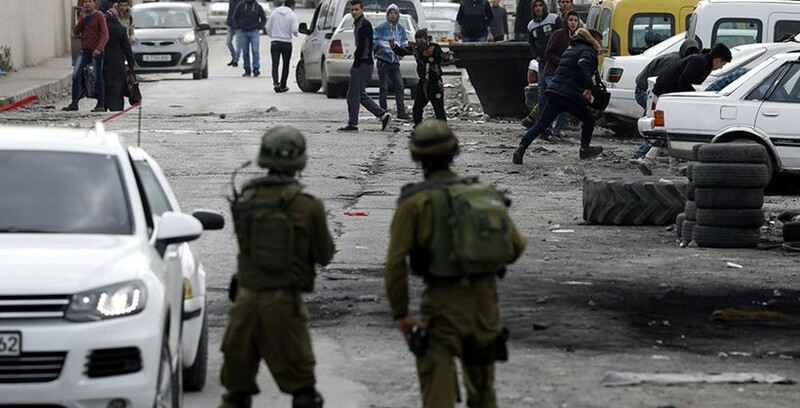 Security Forces started mass arrests and beating of the protestors and this is how the clashes broke out and people started to defend themselves. 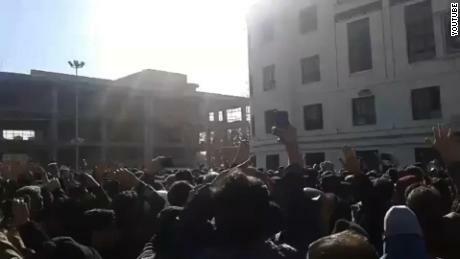 Iranian people are attacking and destroying government buildings, banks and police stations. A number of police motorcycles, cars and vehicles have been burned down by the people. 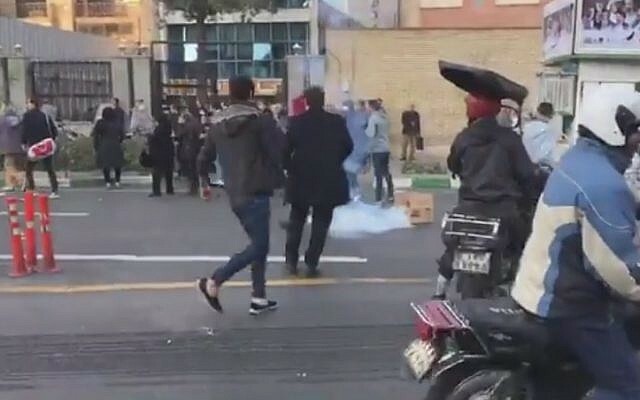 Opposition has been burning the IRI Flags in the streets of Iran. 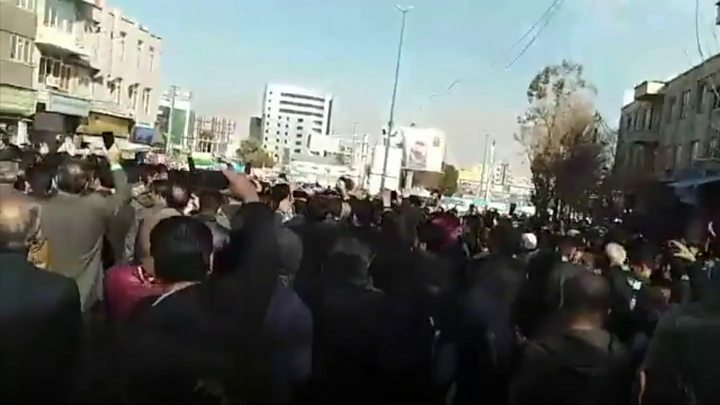 IRI also conducted pro regime demonstrations by rushing thousands of Hezbollah, Basiji, Sepah and Chadori Muslim thugs in the streets to rally pro regime and clash with the people as a show of force. 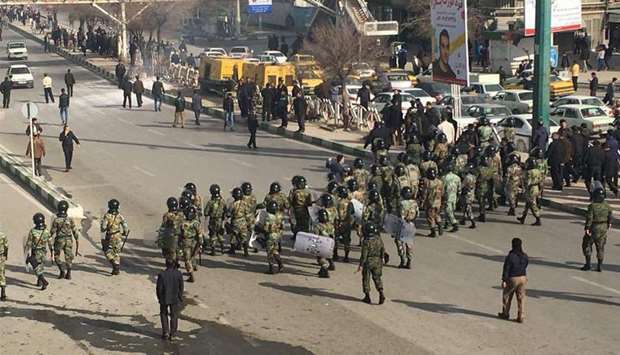 IRI security forces have killed tens of people, injured tens of people and arrested hundreds of people. 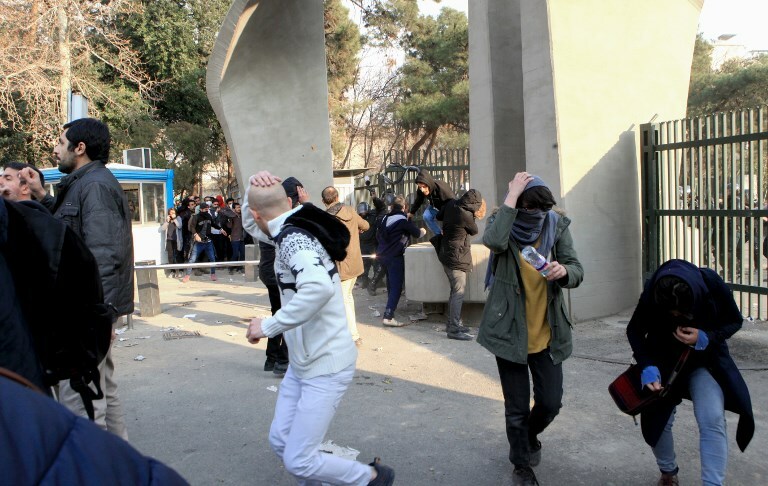 Iranian people are violently clashing with security forces and rescue the arrested people. 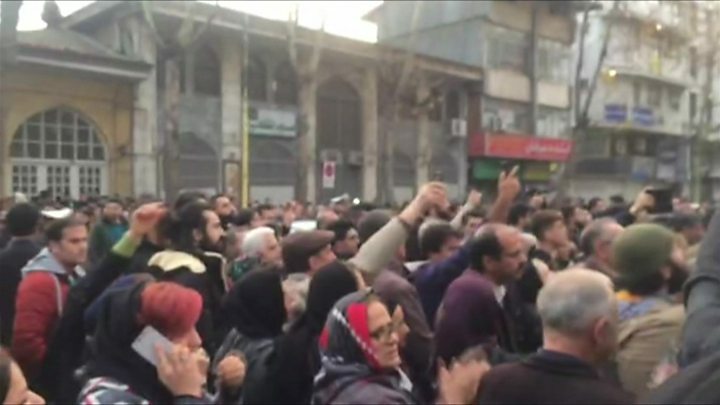 Iranian people are calling for the security forces, police and military to join the Revolution. 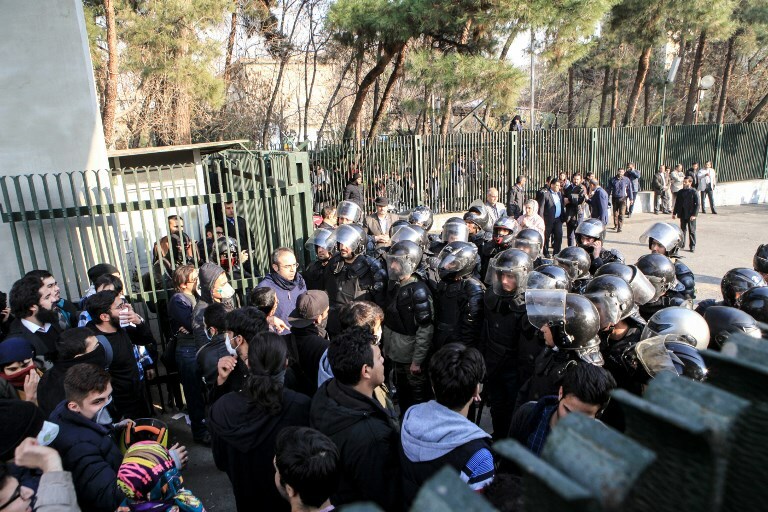 This is the beginning of the end of the IRI Regime. In hope of protests turning to riots and then a full-blown Revolution. Unlike Hussein Obama and Liberals, Trump is with the Iranian people and the Iranian Opposition. Stand Up to Islam and Islamic Regime. We are not Muslims but we are Persians. Choose between Islam or Iran? You cannot have both! Time to fight is now or remain slaves to Islam and Islamists for few more decades! Isn’t 4 decades of Islamic Slavery enough? Are you aware that 4 planes full of currency, gold, jewels, bonds and valuables are awaiting in Tehran airport for the Top Mullahs to fly the country in case the protests become mass riots? Mullahs already have Plan B to take the cash and fly Iran to abroad. Communication is the key to harmonize protests. Masses are connecting with mobiles, text, social media, chatrooms and secure connections. Regime is doing her best to disconnect every connection application and tool. We are finding ways around it. We will do our best to harmonize the people, protests and riots by communication. Spread communication ways around regime’s bans and disconnect. Time to kick it up a notch and fight the Security Forces. They will not join you. They are faithful to the Regime until the end. You can’t fight arms with words. Time to arm up and fight the Security Forces with everything you have. We must spread arms to the people. We must take over armories. We must import arms. Any type of government is better than IRI. 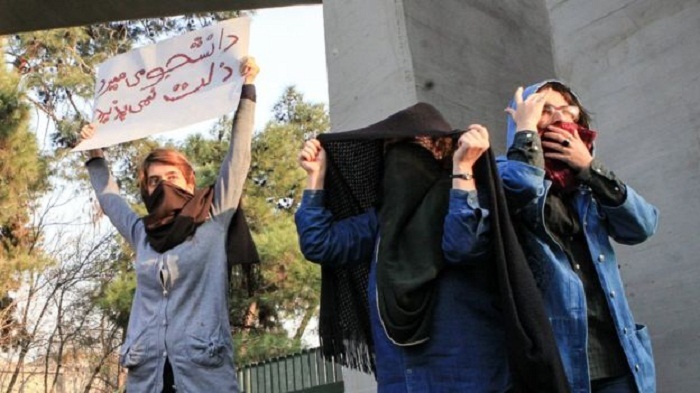 There is nothing worst than living under Islam and the IRI is the worst Islamist Regime. Death is better than living under IRI. Nothing will change until we change it. 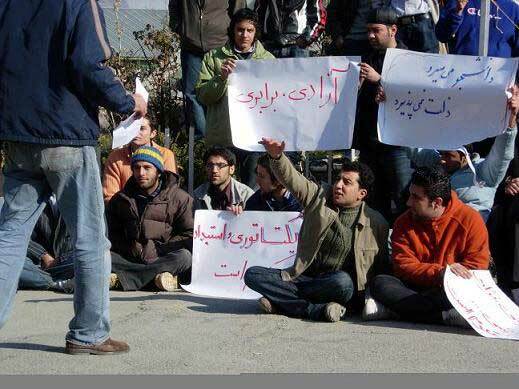 You will stay hungry, jobless and hopeless unless you rise up and violently take Iran back. Momentum is now and the rallies are getting larger and stronger. Do not make peace and stand by to get hit by the security forces. Security Forces are actively killing, injuring, beating and arresting you. Fight back, stand up in their faces and gather every weapon possible. Gather weapons. Any weapon is better than none. Spiked punch knuckles, switch blades, daggers, bats, batons, guns, rifles and anything you can get your hands on to defend yourself. Stand up to the security forces or you will remain slave to Islam and IRI. We must distribute arms. “Iran is failing at every level despite the terrible deal made with them by the Obama Administration. The great Iranian people have been repressed for many years. They are hungry for food & for freedom. Along with human rights, the wealth of Iran is being looted. TIME FOR CHANGE! What Needs to be Done with the Mullahs? We need to hang them high from the branches of the Tall Persian Trees for the Public Display and let them Rot as human manure for the Trees to Bear New Delicious Fruits of Freedom! Few Mullah Corps Human Manure Must be buried Near the Roots for each Persian Fruit Tree! Hang them high, Let their Allah Sort them out! Ahreeman you crack me up and I actually like your punishment term but I have a better idea. Why hang them, let’s put them to work to build highways and railroads. They have lived lavishly all their lives off of people’s charity and never done a day of hard work. Their hands are smooth and soft! Religious clerics are leeches of the society. It is time to put them to work and to do free labor. Let’s put them to work for few years, then we can hand them to you to hang them. I know you love the taste of blood but be careful, Muslim Mullahs blood may be poisoned to your taste! Their hands are soft not because they have never done a day of hard work but because they are Gay Old Boys with smooth hands and they bang butts at backrooms of the mosques, all day long (Ahreeman)! Mullahs are delicate men who do lavat with delicate Tolab Boys. It is the Islamic way! How can we ever forget this one? Holy Cleric Ranks of Islam! This slogan rhymes with their slogan but it is a punch in their face. This slogan would hurt the regime to the bone and mock their ideals. We have to give credit to Ahreeman for coming up with this.